Promoting your restaurant before it officially opens is a good way to make sure that your dining establishment gets much-needed traction and buzz. 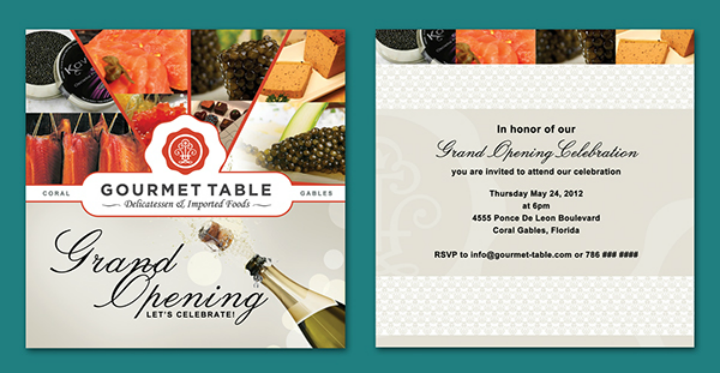 One way to make that possible is by using well-designed restaurant grand opening invitation templates. In this article, we provide different tips on how to choose a grand opening invitation card design with ease while also providing different downloadable examples of these restaurant templates. 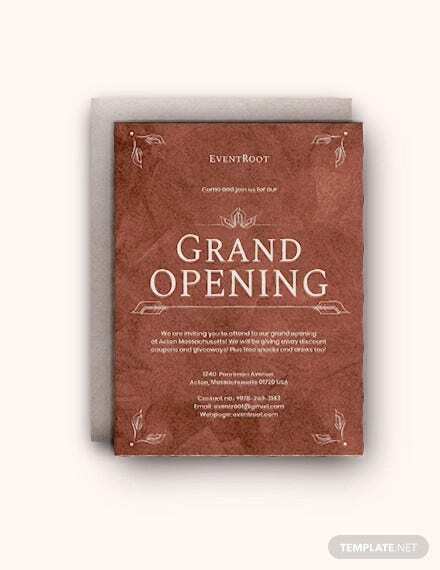 Why should you use restaurant grand opening invitation templates? There are different ways to advertise your restaurant’s grand opening. The most common ways are to create restaurant advertising flyers, brochures, tarpaulins, billboards, and even TV and radio ads. But, if you want a more personalized approach to launching your own restaurant, try using restaurant grand opening invitations instead. 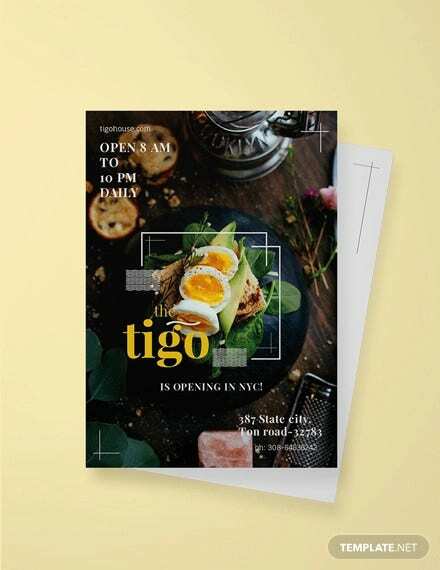 And, in order to have the best grand opening invitation card designs for your restaurant, you will need to use the corresponding restaurant grand opening invitation templates. There are many benefits when you use pre-made restaurant templates and we have listed the most important ones below. Read on. The main advantage of using printable restaurant templates is that they are very cost-effective. Single-purpose templates cost about a few dollars while template bundles may cost a little more. Overall, pre-made templates still cost less than hiring a professional graphic artist to create any kind of design project. New restaurants need to be mindful of their cash flow since they are just starting out. Using affordable restaurant templates allows you to still have a marketing budget for your restaurant’s launch without having to spend excessively for it. Also, by using pre-made templates, your remaining advertising funds may be used for printing more flyers, invitations, or other restaurant stationery materials. Pre-made printable templates are inherently easy to customize and edit since they have already been formatted by the template’s original creator. Of course, additional time and effort may be needed if you intend to add personalized branding elements to the template. Yet this approach is still quicker than creating a grand opening template design from scratch. The degree of customization allowed for template end-users may differ, but most of them can be fully edited if you just know how to use Adobe Photoshop or other image editing and desktop publishing software programs. Restaurateurs, just like any business owner, follow a schedule when launching a dining establishment. This is essential to ensure that they cater to the right market at the right time with the right resources. Having a pre-made advertising plan also means that all your advertising templates and designs should be ready before the actual launch date. 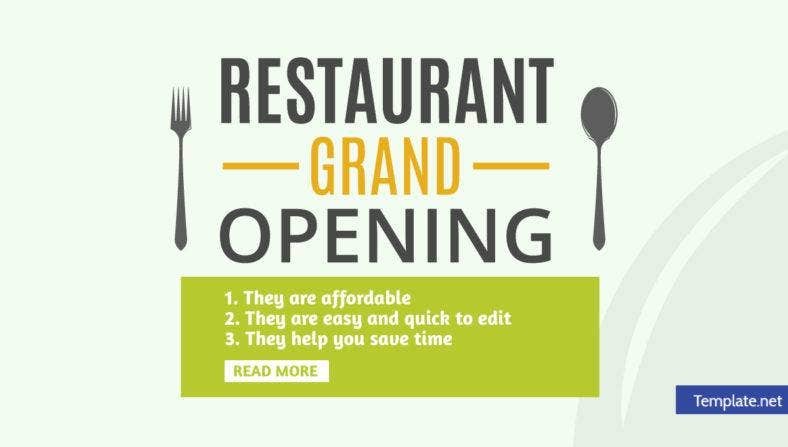 By using pre-made restaurant templates like grand opening invitations and flyer templates, your time spent on dealing with this aspect of the restaurant launch will be greatly reduced. For those who do not have time to manually create a template design or oversee a graphic design team to do it, using these pre-made templates can be a good middle ground. You will still retain the creative power when choosing the template design and how you can personalize it. But you do not have to spend a lot of time focusing on the project. Once you have finished making the necessary customizations (which can a take just a couple of hours if you know what you are doing), the template can readily be sent to the printing shop and you will receive the final restaurant grand opening invitations within a few days. As mentioned earlier, some pre-made template download files may be in Adobe Photoshop, Illustrator, InDesign, Microsoft Word, or Publisher file formats. This means that you need to know how to use these software tools before you can successfully edit them. Software programs like Microsoft Word and Publisher can be easier to master since they are mostly included on PCs and are taught in schools. But, for more advanced software tools like the Adobe Creative Cloud, you may need to devote a few focused hours or days to learn how to use them. You may also see dinner invitation templates. If you have decided to use pre-made printable restaurant templates, taking a little time off to study it will help you gain a new skill that can be used for your other business ventures. Also, there are a lot of Photoshop tutorials for beginners available online now that you can use for studying. Aside from learning how to use image editing and desktop publishing software, using pre-made templates may also help you improve your current editing and graphic design skills. Taking this approach can be useful for restaurateurs when they have to conceptualize and design their next restaurant projects. You may also like restaurant receipt templates. 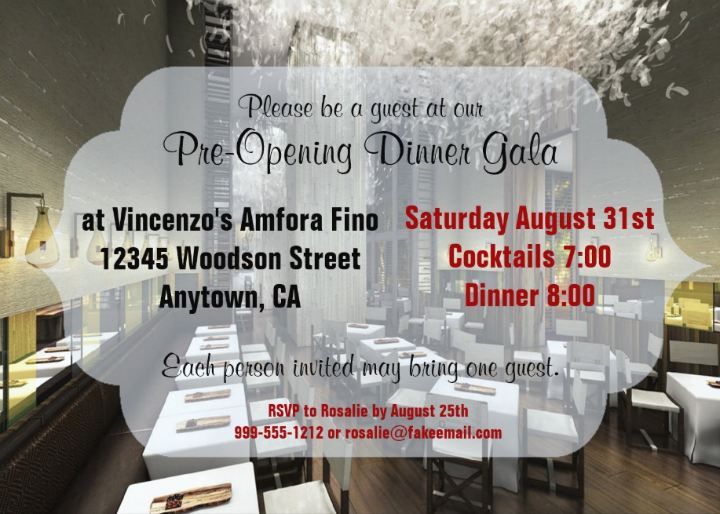 Listed below is a collection of downloadable restaurant grand opening invitation card templates. Comprehensive information about each invitation template and how to use them are included in each template example. If you want your dining establishment to be associated with glitz and glamor even before it officially opens, try out the Gold Restaurant Opening Flyer Invention Template (shown below) as a restaurant opening advertising template. This template showcases a glittery design with big bold typography fonts that will surely catch any customer’s attention. The template background design may be changed into gold, gray, and rose gold sparkles. Choose the color variation that you feel will most complement your restaurant’s branding image. This PSD template best prints out on thick paper that measures 4 inches by 6 inches. A 0.25-inch printing bleed has already been pre-formatted on the template. Tip: Do not forget to include your restaurant’s social media handles and contact information on the template. This allows customers to also check out your business profile online and spread more news about the restaurant online. 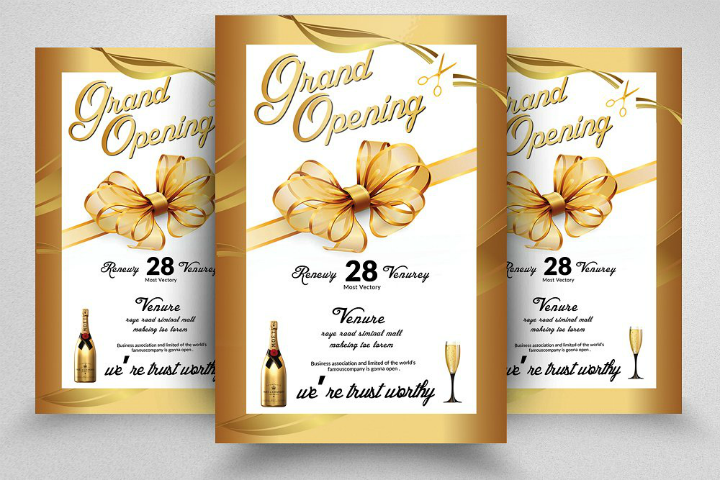 If you want a more subtle gold background color for your restaurant template design, choose the Golden Restaurant Grand Opening Flyer Invitation Template shown below. Choose this template if you want to introduce your restaurant as a classy dining place. This template design exudes both understated luxury and friendliness due to the watered down version of the gold textures used in the template. The cursive font used in the template also helps soften the design’s effect without diminishing the template’s sense of sophistication. The template measures 4 inches by 6 inches with a 0.25-inch bleed area. All graphic elements used in this template follow the CMYK color model and has a 300 DPI resolution. The typefaces used in this template are all available for free. Note that you will need to download them separately after purchasing the template. You may also like printable dinner invitations. Tip: Do not forget to personalize this template and add your own graphic design elements that will differentiate your restaurant from its competitors. The Open House Restaurant Invitation Template (shown above) is an example of a restaurant opening template that can also be used as a flyer and roll-up banner advertising template design. The template’s chalkboard design also helps make the invitation appear more approachable. When editing this template, make sure that you include as much information about your new restaurant as possible while making sure that all the text components are readable. This template has a lot of space for writing restaurant launch date information, so make sure to take advantage of this feature. Also, do not forget to add your restaurant’s own color into the template. Incorporate your restaurant’s official color motif, logo designs, and even social media handles to help your brand’s identity. The template prints out on thick paper or cardstock measuring 5 inches by 7 inches. Starting this list is the Art Deco Restaurant Grand Opening Invitation Template (mock-up image is shown below). Use this template if you want to have an elegant restaurant invitation template that will complement an equally elegant restaurant design theme. This template will work best for fine dining restaurants or places that offer rare cuisine. 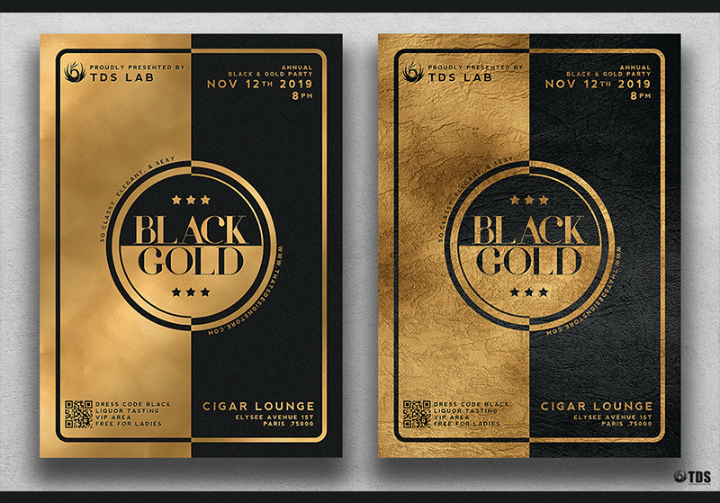 It follows a black and gold background color scheme—making the template appear more sophisticated. 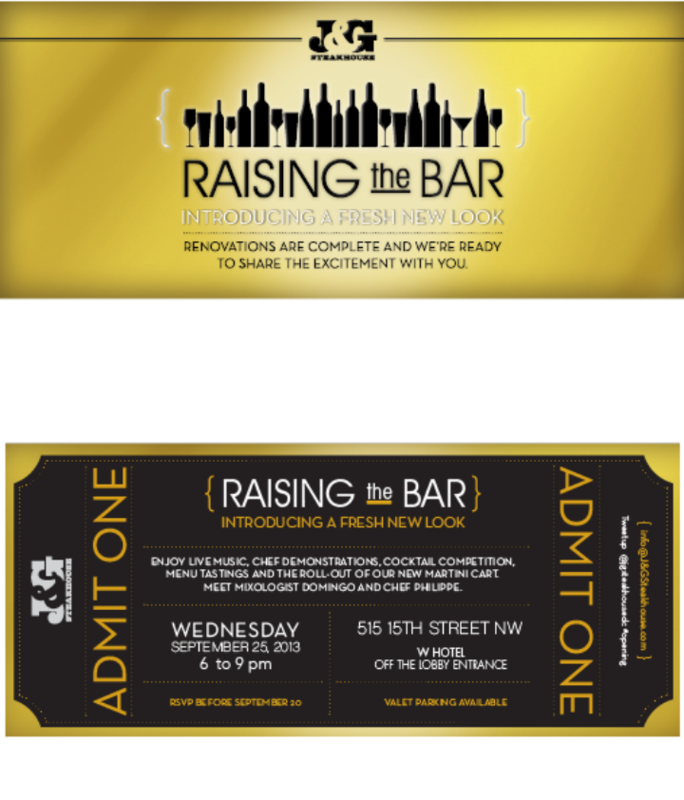 Other establishments that can use this printable invitation template are clubs, bars, hotel restaurants, and even cafes. This template is available in A4 print size (21.6 inches by 30.3 cm inches) and US letter size (8.5 inches by 11.9 inches) with a pre-formatted print bleed area. It follows the CMYK color model to make sure that you get high-quality template prints. 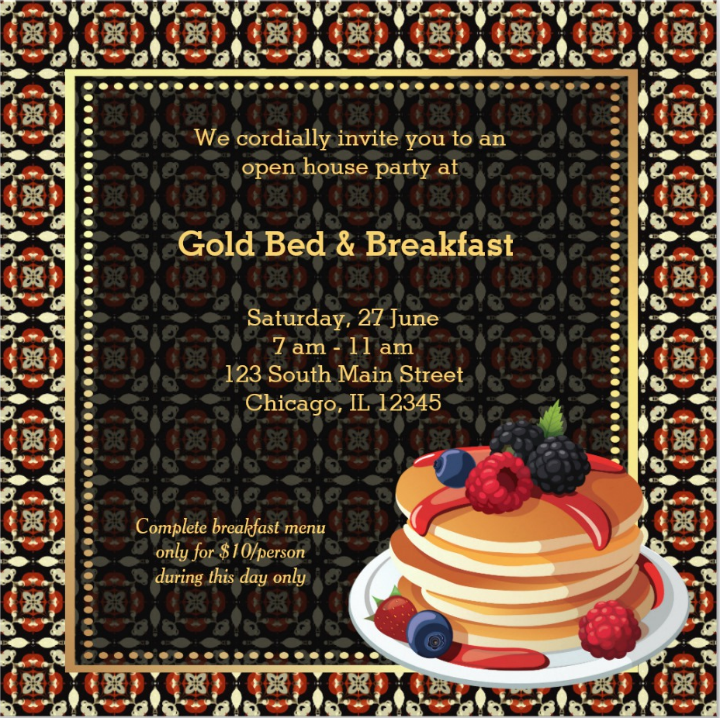 Choose the Bed and Breakfast Restaurant Grand Opening Invitation Template shown below if you want to spice up your B&B restaurant’s opening date. We all know that bed and breakfast places are more like small hotels or inns, but they can also have a small restaurant. These restaurants can also have the potential to attract local diners if they advertise using a well-designed opening invitation flyer or card. This restaurant grand opening template is available on Zazzle.com. All edits and customizations to the template are done through the site where customers can change, add, or remove text, images, and other graphic design elements. Also, this template is printed on both sides with the back page showing only some restaurant branding information. The template may be printed different paper types, paper shapes, and paper sizes. You may choose among eight paper sizes. The smallest paper size is at 3.5 inches by 5 inches while the largest paper size is at 4 inches by 9.25 inches. Note that the thicker and bigger the paper type and paper size you choose, the base price of a single template may increase. 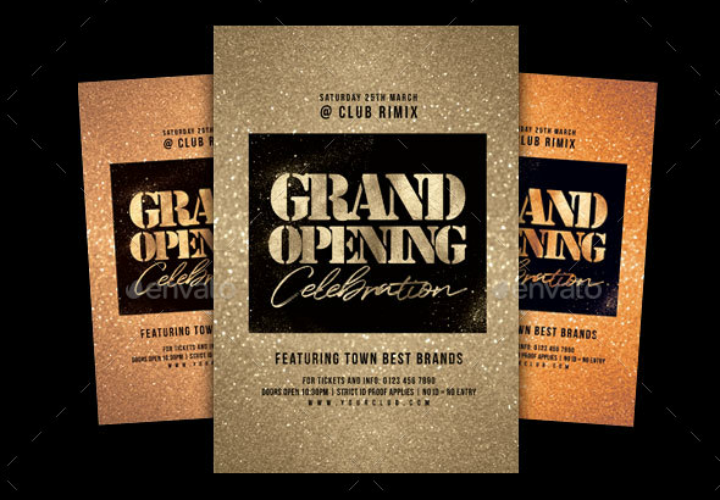 If you want a realistic grand opening invitation template design, take a cue from the Brickyard Pub Grand Opening Invitation Template shown below. Use this template if you want to showcase the beautiful and well-organized interiors of your own restaurant. This restaurant opening invitation template also allows its users to write all the necessary information about the restaurant. If you use this template, make sure to add a few personalized lines of text that will introduce your restaurant aside from the usual restaurant location and contact information. 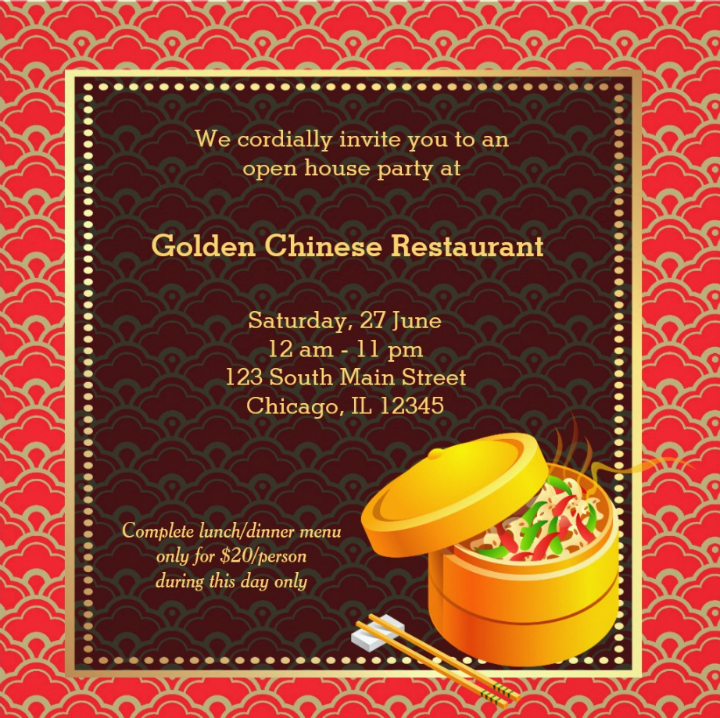 Choose the Chinese Restaurant Grand Opening Invitation Card Template (embedded below) if you want an ostentatious design that evokes the rich and colorful Asian cuisine and culture. This template measures 5.25 inches by 5.25 inches when printed out. As with other Zazzle printable templates, it can easily be customized through the website. There is no additional fee for editing the template. Printing is also made easier since you only have to choose between different print sizes and paper types and colors. All templates will print on both sides and will include a pre-formatted bleed area. What is great about Zazzle templates is that template printing is done by the site and the finished products are sent to your address after a few days. You may also like lunch invitation templates. Use this template if you want your invitation template taken seriously from the start. Generating this effect from a restaurant advert is especially important if you are opening high-end restaurants, fine dining restaurants, or restaurants headed by a Michelin-starred chef. You may also like engagement party invitations. This template download will include two PSD design files and one instruction file. The template also prints out on A4 and US letter-sized papers. All templates are ready to print owing to the 300 DPI resolution and CMYK color format. In addition, download links of the free fonts used for the template are included in the help file. For those who want a simple grand opening invitation template design for their restaurants, you should try the Elegant Restaurant Grand Opening Custom Invitation Template featured below. This template works best for steakhouses or other casual dining restaurants, pubs, and bistros. It has a white background and black border designs. To personalize the template, you may even add your own restaurant logo design or trademark. The text used in this template is fully editable and you may replace it with any piece of information you think is necessary for your restaurant template to attract your customer’s attention. Despite having a black and white theme, you can still jazz up the template by printing it out on unconventional paper types and by using a different paper shape. For instance, you may choose among rounded, scalloped, ticket, tag, bracket, and other geometric shapes. You may also choose among signature semi-gloss, matte, ultra-thick, linen, columned, felt ecru, felt white, Kraft, pearl shimmer, champagne shimmer, metallic silver, traditional, artisan, and luxe paper types. At Zazzle.com, you have different design and printing options to choose from. 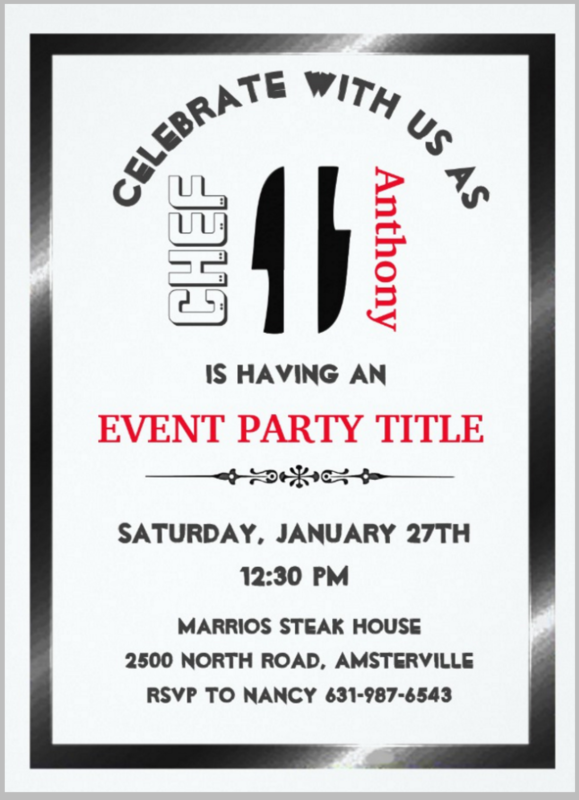 Choose the Gourmet Restaurant Grand Opening Invitation Template (shown below) if you want your grand opening invitation templates to feature images of the different meals or dishes that your restaurant offers. This template prints out on both front and back sides. The main highlight of the template design is the photo collage. When using this template, you may choose between different collage layouts and typefaces. But, as a piece of advice, it is better to stick with the template’s current fancy cursive font styles if you want to achieve the same design effect. Also, do not forget to use well-taken food close-ups as they will be used for the photo collage. If your restaurant budget permits, you may even hire a food photographer to ensure that the photos are well-lit and taken tastefully to match your restaurant’s ambiance. Looking for a fresh and cheerful way to advertise your restaurant’s opening date? 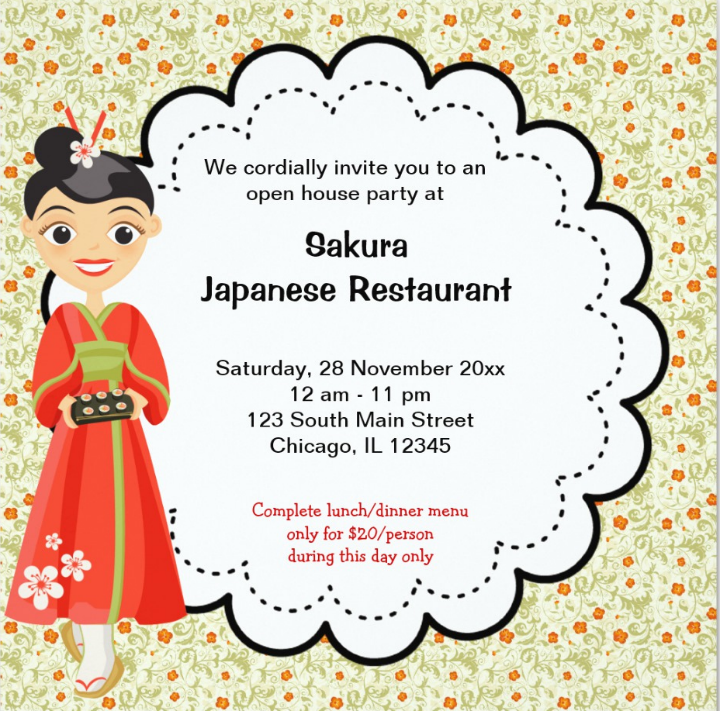 If yes, try out the Japanese Restaurant Grand Opening Invitation Card Template embedded below. This is a Zazzle.com template that will fit Japanese and other Eastern cuisine restaurants. The flower pattern background works well to help create a cheerful effect when looking at the invitation design. All edits to the template’s text and graphic design elements can be done through the website. If you prefer, you may even replace the girl illustration with other illustrations, logo designs, or vector graphics. This template is best printed on thick paper measuring 5.25 inches by 5.25 inches, but you may still choose a bigger paper print size. Also, Zazzle.com offers a lot of paper types and you can choose simple cardstock with embossed and coated papers. The more elaborate and the thicker the paper type you choose, the higher the printing cost. 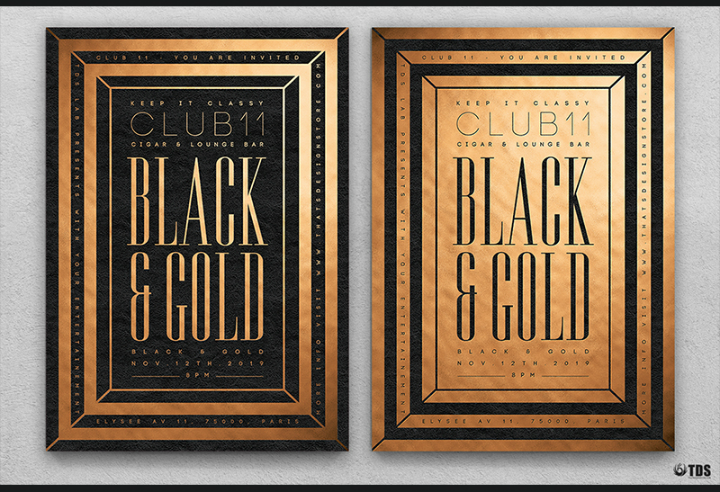 The Minimal Black and Gold Restaurant Invitation Template featured below come in two color variations (rough and clean versions). The clean version features a smooth ad clutter-free background image while the rough version includes indented and crevice-like background image designs. The stark contrast of the gold and black background colors also denotes sophistication—perfect for fine dining restaurants. When downloading this template, you will get two Photoshop files and one help instruction file. These templates are fully editable and you may choose between two printing sizes, A4 (21 cm by 29.7 cm) and US letter ( 8.3 inches by 11.7 cm). Reminder: Free fonts are used when creating this template design. Download links for these free fonts are included in the help file. You will need to install the fonts on your computer first to make sure that the fonts will render properly when editing the template file. Looking for another elegant restaurant grand opening template design? 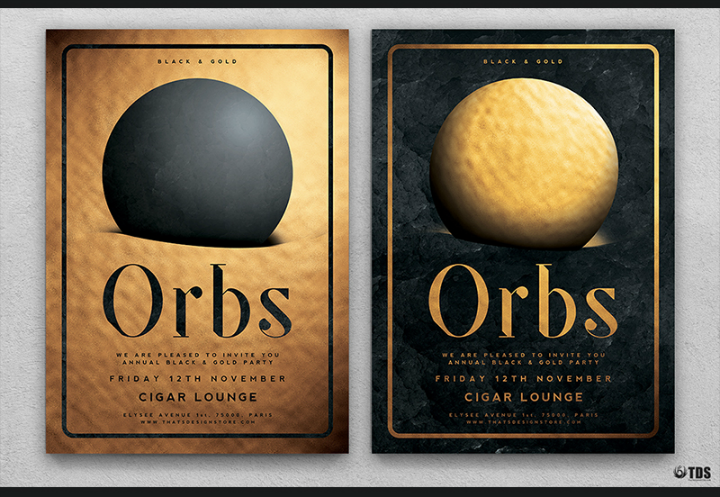 If yes, try out the Orbs Restaurant Grand Opening Invitation Template featured below. With this template, you may choose between a black and gold orb design. This template suits dining establishments that cater to an exclusive clientele since the template design exudes secrecy and elegance. The minimalist design will also appeal to those who are running trendy and modern restaurants. This template can be used as an invitation card design, a flyer template design, and even as a restaurant stationery design. All the templates are in CMYK color format and follow a 300 DPI resolution. Editing this template is also easier since all graphic design elements are categorized into different labeled layers and groups. Download links to the free fonts used in the template are also included. For those who want total business transparency in their printed restaurant advertisements, you will appreciate the Pre-grand Opening Restaurant Invitation Template shown below. This restaurant grand opening invitation template uses a picture of your dining establishment as the background design on your invitation template. Details regarding the restaurant’s grand launch are then superimposed in the middle of this image. This approach is useful if you want customers to see what your restaurant’s interior looks like. However, this approach can become boring if you use a lackluster background image. To make this invitation template work, always use a well-taken photo of your restaurant. In addition, do not forget to add different restaurant branding details to the template. For instance, you may add a company logo or your restaurant’s mascot design. The template can be printed out in either portrait format (5 inches by 7 inches) or landscape format (7 inches by 5 inches). Orders of this restaurant invitation card template will include a standard white envelope. Are you ready for your restaurant’s grand opening? Getting ready for a restaurant’s grand opening can both be stressful and exciting. After all, you will finally be able to introduce the fruit of your entrepreneurial dreams to other people. But, aside from all the business management side of running a restaurant, you also have to think of how you can spread the word about your restaurant. The different tips and template download examples we have listed above hopefully would be able to help you on that front. Refer back to this article as you plan out your restaurant’s launch date and download any template design that suits your restaurant best. You may also like event invitation templates.